As a private company we generally don't disclose financial information like revenue, profitability and the like. Primarily this is because we don't want to give competitors an insight into our business that could help the competitor gain an advantage. So, you won't be getting any detailed financial information from me here. What you will get, though, are details about the percentage increase in order volume and revenue over the last few months, along with commentary on why we believe the numbers are going up. When Mike and I started this business 11 years ago, we did it because as a CPAP user Mike was irritated by high prices and a lack of selection at local brick-and-mortar CPAP dealers. Throw in the fact that these CPAP dealers weren't providing good customer service, and it was like a perfect storm. We couldn't help but start what we believed to be a better business with a better business model than that of the traditional home healthcare stores. Obviously, our main goal was to provide lower prices to CPAP users. We knew it would work, but not everyone agreed. The first regional sales manager of a major manufacturer with whom we dealt hardly gave us the time of day, and essentially insinuated we wouldn't be successful. Of course, when someone is in the habit of thinking "traditional" it's easy to assume "revolutionary" or "different" won't work. I'm happy to say that 11 years later we've proven that regional manager wrong, pretty much every day we've been in business. That's a nice feeling on many different levels. Our other goal besides offering lower prices, was to be able to offer exceptional service. We meant that to be service based on deep product knowledge, and service that helped solve problems for our customers. To this day, we recommend what we believe to be the best products for patients. We don't push the highest margin products, we don't try to upsell, we don't bait and switch. We listen to our customers' needs and we direct our customers to the products they need. It's really as simple as that. I can't imagine anyone - whether they're working for a big CPAP equipment manufacturer or not - thinking this type of business model WOULDN'T work. 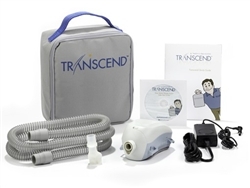 What's amazing, is that there are a lot of people in the industry even today that don't like our model, even though we've proven time and time again that the model works exceptionally well for CPAP users. And it's not just us. We have many competitors online who have proven the exact same thing. So why are so many people buying online? Why is our order volume and revenue steadily increasing from one year to the next in a stagnant economy? People actually care about the cost of stuff like CPAP equipment. Conscientious CPAP users don't want to pay more at their local CPAP supplier, when they can get the same exact CPAP products for less online. This applies equally to CPAP users who have insurance and to those who don't. For CPAP users who have insurance and a copay, it can be frustrating to pay $500 as the copay while watching the insurance company pay another $1,000 for a CPAP machine you can buy online for $399. For people who don't have insurance, buying online is a no-brainer. Literally. You'd have to have NO BRAIN IN YOUR SKULL to buy from a local place that charges three times as much (or more) than an online dealer. If you're worried about whether or not we're a fly-by-night scam, stop worrying. We're not. Check out our A+ rating at the Better Business Bureau. When you order CPAP equipment from us, you're going to get it. People want a good selection and expert recommendations. We don't sell 5 CPAP masks and try to railroad every person into using one of those 5 masks. We sell more like 50 masks, and we tailor our recommendations to your needs. If you have a concern about a particular mask, we take that concern into account and we try to find something that will solve your particular problem. Similarly, we don't sell just a couple of different CPAP machines, and claim that they're the only ones available, or that they're the only ones your insurance company will pay for. We stock a bunch of different CPAP machines that fit different needs and different lifestyles, and we let you make an informed choice. If you've read my article called "What's Ahead in CPAP Design", then you know a little bit about QCD. Quality. Cost. Delivery. At the end of the day, those three words are all it boils down to. So, you're probably wondering about those revenue numbers. Here they are for the last six months of 2011. Keep in mind that these monthly increases are compared to the same month from the year before, and that 2010 was a record year for us (We weren't sandbagging in 2010 so that 2011 figures would look good!) Also note that product prices generally go nowhere but down as time goes on, so these revenue increases aren't due to inflated prices. When I look at these numbers I'm humbled and honored. What we're doing here at CPAP-Supply.com is evidently being accepted by CPAP users. I think in general CPAP users are saying, "we trust CPAP-Supply.com as an online supplier, and we value their service." Knowing we're making a positive difference in this industry by enabling CPAP users to get the equipment they need at a fair price is truly rewarding. If you've been a part of our business in the past, then I want to say, "Thank you!". If you've never ordered from us, but are considering doing so, just let us know how we can help. Either way, we very much look forward to assisting you with all of your CPAP equipment needs!